Cook the cauliflowers and the garlic in a salty water. When they are cooked, blend them with a little hot water and mix with the other ingredients. Cook in a salty water the broccoli flower for 2 minutes and cold down in icing water. Cut the bread into square 0.8 mm pieces and deep fry in to the hot oil, drain at the end. 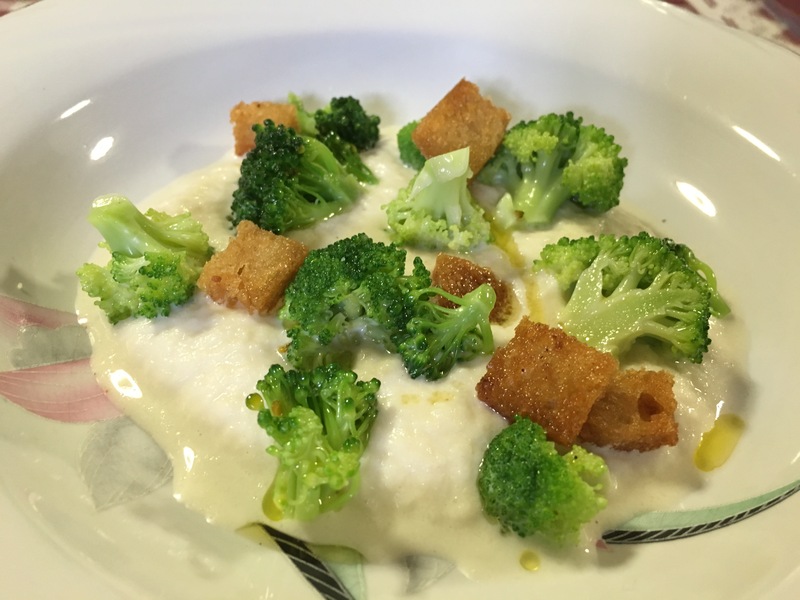 Put the creme in a bowl plate, dispose artistically the broccoli flowers accompanied with croutons and extra virgin olive oil.